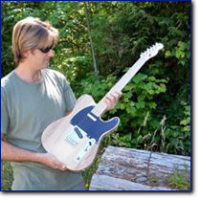 Weekend of a lifetime - build an electric guitar or bass and enjoy the splendour of Vancouver Island. If you already are lucky enough to live on Vancouver Island that is a bonus! 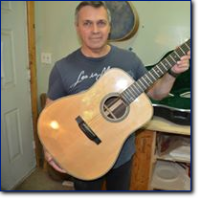 This workshop is taught by Sigmund Johannessen owner and builder who was commissioned by Montreal Guitar Festival to build a Ste-Cat Guitar for their collection. For Individuals who are looking for a weekend getaway while having the experience of building their own instrument, this is the workshop for you. This course is a blend of traditional woodworking technology (hands on) and modern technology - CNC and UV System. Individuals can choose from one of the following: Electric Tele Style, Electric Strat Style, Electric P Bass, Electric J Bass. You will start with choosing your own wood and moving through the entire building process finishing with the set up of your instrument. Enrolment is very limited and we operate on a first come basis. Fee: $1550 this includes wood, materials and supplies and hardware. A $500 fee is required upon registration to reserve a space. The remaining balance is due upon arrival. A complete outline of the two days will be sent upon registration as well as a list of wood and colors to select from.